Granger Flooring services Brighton has been in the flooring business for more than a decade. Our flooring experts are trained to work with materials from all the leading flooring manufacturers, and we work according to industry best practices. 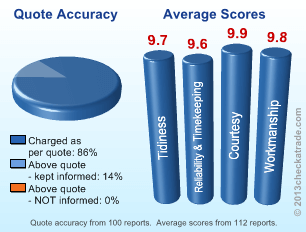 As a result of our service commitment, we have earned quality approval from CheckaTrade Approved. This independent company examines the standards and quality of service businesses. You can rest assured that when you hire us, your flooring needs is in the best hands. What’s more, our company is comprehensively insured to protect you and your home in the event of an unexpected incident. 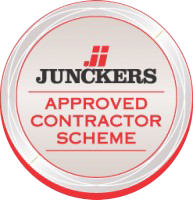 The CheckaTrade Approved badge of approval is not given to any company that applies. The organisation puts the service through a series of rigorous tests and assessment processes. If a company is to get full approval, it must pass all the tests. The financial status and bank records of the service provider are examined to prove it has on-going liquidity. CheckaTrade Approved review our business policies, objectives, and work procedures to gauge service standards. Our staff members are interviewed about their service competence, work satisfaction, and customer service principles. A report is prepared on our performance and CheckaTrade Approved lets us know whether we are eligible for accreditation. Upon successful completion of the assessment, we sign a contract with terms and conditions to abide by the CheckaTrade Approved standards. These tests are performed annually with random checks in between. We are proud to say our company has continually been approved for our leading quality standards.